Hi guys, these tips are for people who are looking for jobs and are lucky enough to land an interview. The tips are also for people who are always getting interviews but can’t seem to land the job. Here are some of the most frequently asked question that I can guarantee the interviewer will most likely ask during an interview. The answers that I have provided are not necessary what you would say but it should help you to answer the questions correctly and accurately. 1. Why do you think that you are the best person for this position? I have the qualification and experience to be a great assist to your company. If given this opportunity I am confident that I know that I will be an effective clerk. I am also very eager and anxious to utilize my computer skills and I have a lot of experience using Microsoft office. 2. What do you look for in a job? Tell the interviewer exactly what you are looking for in a job you can either use my example below or come up with a better one. I am looking for a good working environment where I can improve my organization and computer skills. I am also looking for a long term security with room for growth. Make sure that you describe yourself to the fullest and match your attributes with your last employment. You could use my example but remember to replace the data with your information. I am very punctual, dependable, hard working and I have attention to detail in my task and I am also a people person. These are all the attributes that I conveyed at (The little sister office) in New York where I preformed data entry and filing. I am extremely capable of working under pressure, when I was a teacher at Gospel Light house basic back in Jamaica. I had to teach two classes at the same time and the principal was always pressuring me to keep an eye on children at all times. The first thing you should tell the interviewer is that you would love to work there and let he or she knows that you are eager to learn more about their company and of course you can change my example around where necessary. This would be my dream job. I have an Associate Degree in Medical Billing & Coding and I would like to use my administration skills that I have learnt during the course. I feel this position will give me the opportunity to utilize my educational skills. 6. Tell me a little about yourself? Well, this question is all about you don’t tell them a long boring life story from birth till now. Just let them know all that you have achieved form the past two years. Make necessary changes to my example below. I came from Jamaica in 2006 to live with my mother and I am also looking for an opportunity to improve my life. I am a people person. I did a two year course at Anthem College where I pursue Medical Billing & Coding in 2009. I did some volunteer work as an assistance clerk doing filing, data processing and data entry at Coney Island Head Office and little sisters of the assumption in New York. Tell them about your dream job from your childhood days or if you are a college graduate then tell them that you would like to utilize all the skills that you have studied for during college. The example below is just a way to get your creative juice flowing if you are having problems with this particular question. My career goal is to become an Administration Office Clerk and show case my computer and organizational abilities in a professional settings. 8. What are you strengths? This where you get to show off all your abilities that you are most good at, and also try to include an example of how you have demonstrate your strengths at your previous job. See if my example can trigger your memory a bit. First of all I never back down from a challenge. I am extremely adept at organizing information on the computer. I am extremely good at researching on the internet. I have good computer skills. I can easily adapt to new technology. Okay, this one is a bit tricky. For each of your weaknesses explain how you are going to improve them in the future. The example below should help you to figure out your answer. My weakness is that many times people having a problem understanding me when I speak but that is due to my disability. I was told that I speak very soft so I have been trying to improve that problem by projecting my voice little more when I speak and also try speaking slowly and clearly so that people will understand me better. Another one of my weaknesses is that I have a habit of trying to perform more than one task at a time so I told myself that I need to do the most important one first in order to improve my work performance. This is always the last question they are most definitely going to ask. So answer this question base upon what you found out about their company when you did your research. You can also use any of the examples below if you like. In fact, you can base your answers on the job description. You can also as the interviewer a personal question like “how long have you been working here” people love to talk about themselves. Although I have read the job description I would like to know specifically what I would be doing in this position. What is a typical day is like here? Exactly what are you looking for in a candidate? Will I be getting a certain amount of work for the day? What is the salary like? (Only ask this question if the interviewer didn’t mention it during the interview). When you give the interviewer a hand shake and thank her for her time and consideration ask her if she have any idea when they will be making a hiring decision and then ask if you can give them a call. Hi guys, I hope that everyone had festive holiday as I did. I recently gotten my driver’s license and I can’t wait to start driving alone for the first time. Many people often have a fear of driving by themselves for the first time so in this article I have some great tips to help those people who are having trouble getting over it. Well, fear of driving can lead you to many things whether driving as whole, by yourself for the first time, on the high-way or over bridges or at night, you can overcome your fears and remain relaxed if you simply follow my tips. Find out what is causing you to have these anxieties. Probably you are new to driving? Or you have recently been in a car accident? Maybe you are not totally satisfied with your driving skills? Once you have figured out the cause of your fear then I suggest that you seek help that can help your way of thinking. If it's emotional scars, consider getting help from a therapist. With all that out of your way let begin. Just get into your car, relax and as soon as you feel comfortable turn the engine on and relax your mind. Then adjust the seat to your comfort, and the rest of the other things such as mirrors or anything else that might make you feel uncomfortable. 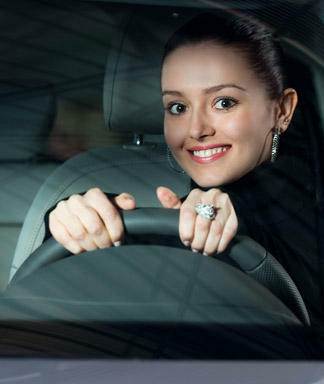 Feeling comfortable is one of the most important thing in driving, it will help you to overcoming the fear of driving. Once you become more relaxed behind the wheel, even if the car is off, than that's a step in the right direction. You can ask your friend to join you in your car. Having one of your friends in the car will help you to relax even better. However, anything that you can do to cut the tension is good when overcoming the fear of driving. Don’t turn on any music while driving because it can be a distraction when driving. However, you can drive with music when you have become more comfortable behind the wheel. If it’s your first time driving alone take small steps by driving around the block. Then the next time, you can drive a few miles and then return. Build up your confidence little by little and eventually you will start feeling more comfortable. Take your time and don't try to force yourself to drive far until you are totally relaxed behind the wheel. 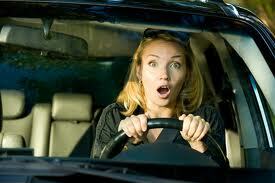 You can also get instruction from a professional driving school, if you can't overcome your fears on your own. Or maybe you can ask a close friend will help you through this process. Hi guys, I know it’s been a while since I last up dated you on some valuable tips but better late than never. Okay with all the crazy Christmas activities going on I must admit that I have gotten caught up with them too. I hope everyone had a wonderful Christmas and now looking forwards to a great new year. 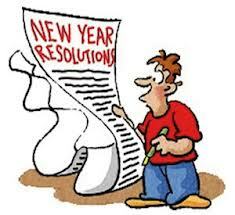 Well I am back, everybody likes making New Year resolutions and never gone through with it. Here are some New Year revolutions you should consider doing for the coming New Year, *Live healthier life * Try saving more and * Work on improving one's life. 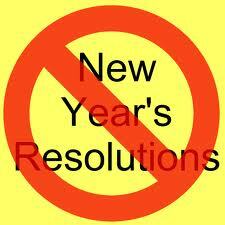 In fact New Year's resolutions always tend to fizzle out faster than an old bottle of champagne. 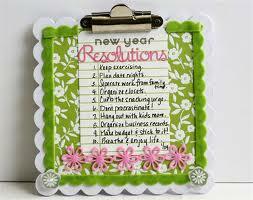 But fortunately there is always something that will help to keep you on track with your 2013 resolutions. Below are a few that will provide guidance and encourage you to persevere. I know the battle against fat is not going to be easy; but it can be done, by controlling how many calories you consume daily is the key. And tracking how much you've eaten can be very difficult sometimes so make sure that you only eat healthy foods that will help keep you lean. Remember, keeping your metabolism on a high gear will keep your blood sugar level balance so that your body stays in fat burning mode. Well we all know that exercise goes with losing weight. You don’t need a personal trainer to help you guide your exercise routine needs. Put a reminder sticker (exercise today keep the doctor away) on places you visit often like on your fridge, kitchen cabinet and your bathroom door. Haring a personal trainer can be very expensive so you can always buy or download exercise program from your computer it works just as well or even better. If you're trying to quit smoking, you need all the assistance you can find to break the hold of nicotine. This New Year revolution is very difficult but it can be done there is so many things you can do to help you quit smoking. You can buy the nicotine gum, join a support program and try to focus on your goal. Livestrong's $4 MyQuit Coach for iOS helps you develop a plan for quitting, and tracks your progress. FewLaps' $3 QuitNow! Pro for Android is similar, but also includes chat features to bolster your support network. It's worth spending a few dollars to get the extra boost an app can provide. Remember, that you have over spent during the Christmas season and it’s now time to save a little. Keep track of your bank account online and try not to go over your budget limit. Use cash only when you go shopping. Buy gas with your debit card and carry a list when you go to get groceries. Remember guys if you want to keep on track with you New Year’s revolution you must try to follow through with you plans for it to work. Hey guys, with Christmas just around the corner some people just love the last minute shopping, but what they don’t realize is that the prices also goes up when it’s near to Christmas. Christmas comes but once a year so we have to make the best of it. 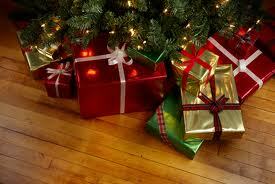 Many people tends to over spend during Christmas seasons, oh I must confess that I am one of then lol. Anyway, when you are shopping for Christmas,(like grocery shopping you also need a list) otherwise you will most likely to over spend. Another thing you most always try to shop early like in the middle of October when the stores haven’t yet increased the prices on the items. I found this out last year when I bought an item for $150 in the first week of October and them I decided to purchase the same item in the first week of December at the same store and to my surprise the price was much higher. So you need to start shopping for Christmas very early if you want to save money. I have some super tips that will help you save big this Christmas. Shopping without a Christmas list will most definitely make you forget who you are buying for and it will also causes you to buy more than you plan to. You don’t have to write down all the things you are going to purchase but the names of the people you are planning to get a gift for Christmas. Try not to go over your budget this year. You don’t need to buy expensive Christmas gift for your parents just a post card will say a million words. You can also take them out for dinner at their favorite restaurant instead of buying both of them individual gifts. You might even save a lot of money this Christmas by doing that. Remember it’s the thought that counts. If in case you haven’t got any idea what to buy somebody just give them a gift card instead. Most people will accept a post card other than a gift. Go on sites like Groupon.com and livingSocial.com where you will find coupons for spa treatments, hotel, kitchen stuff and many more that will cut down you Christmas spending to a limit... Just make sure that the coupons haven’t yet expired. 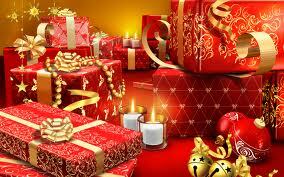 The benefit of using coupons for Christmas shopping will help you to control your budget. Using coupons will not only help you to spend less money but it will also help you to purchase more gift than you’ve expected. Everybody likes a little discount when it comes to buying Christmas gifts. If you don’t want to over send when shopping this Christmas then put away your credit card and only use your debit card. Why? Because when you use your credit card you tend to spend more money than what you want to spend. But if you use your debit card to shop for Christmas gifts then you won’t be able to over spend remember your debit card has a certain amount of money in it and that should help you to stay within your budget. Just make sure that you remember how much money you have on your card before you start your Christmas shopping guys. Check all the prices on your list before you go to the mall. This is very important if you are going to shop for expensive Christmas item that are more than likely to be on sale. Most big stores will overprice their items, so that the discount will look very convincing. Therefore, they fooled the public into thinking you're getting a bargain on a $1,000 television that's has a 50% sale tag on it. When the regular price was actually $599 and so the 50% sale price would seems like a great bargain. This is the strategy that most stores use every year to get customers to buy more Christmas presents than they usually would. When you write down your Christmas gift list do some advance price-checking to ensure that you don’t go over your budget limit. It would make it much easier figure out how much you want to spend. After you have added up the rough cost of all the items on your list consider whether this total is an amount that will fit within your current budget. This will let your Christmas shopping less painful when you look at your bill.